A safe standing area is nothing like an old style terrace. It consists of barriers only two steps apart, with a designated, ticketed space within which you can stand safely, without being subjected to any surges or over-crowding issues. 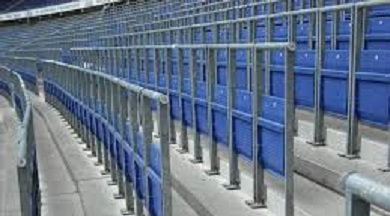 Safe standing areas have seats which are bolted in an upright position for most games, but can be released to allow seating for matches or events which require it. Of course, seated areas would still exist alongside, just as they always did. 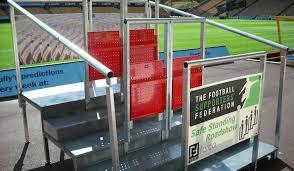 Some time ago Villa became the first Premier League club to publicly back the introduction of safe standing. However, the current facilities and ground regulations mean that fans cannot be allowed to persistently stand in seated areas during the match. In fact, the club are regularly threatened with closure of sections of the ground if they can’t control persistent standing. Sections of the Holte are under threat, and some away allocations (both ours and away fans at Villa Park) have been reduced. The club know that many people want the choice of whether to stand or to sit. Currently, the people who want to stand are told to sit down, the people who want to sit still have people standing in their way, and the stewards, whose job is primarily to help supporters, find themselves locked in pointless arguments with those who basically just want to enjoy the game. The club has no easy task taking this forward; they need to be able to demonstrate that there is an appetite amongst supporters for standing to return in some form. After the Rotherham match when some of the ever-lively Brigada fans were taken out from behind me. I felt the time had come to try and do something to move things along. I contacted the club, and I began conducting a survey before the Newcastle game with the club’s support. I put together a short survey which sets out to show whether there are any particular groups of people who are put off by standing. I took it to Family Fun Day because I wanted to find out what young Villa families think about this. Over the following weeks I surveyed in the Lions Club, and The Holte Suite. 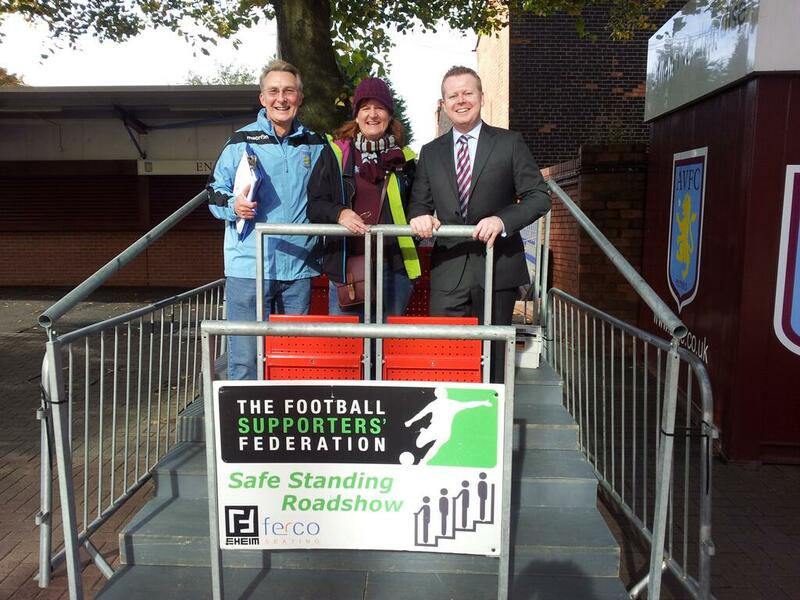 We also got the Safe Standing Road Show set up outside the Trinity Road Stand so people could see and feel for themselves how safe standing works. I ran an online survey, but my face to face surveying helped to validate this data. I targeted a wide age range, and women, and people with disabilities. I was able to insist that those who were against it also filled it in; making it clear that it was a survey, not a petition. At the end I had over 1100 completed surveys showing over 97% in favour of safe standing, with it holing at 95% across all demographics. So – the case was made at Villa, but Paul Faulkner needed 14 of the 20 Premier League Clubs to be ready to talk about it before he could get it onto the Premier League’s agenda. I went to a Premier League Supporters Trust meeting, hosted by Supporters Direct, to find out what was going on elsewhere, and talk about what I had done at Villa. Supporters Trusts at Arsenal & Spurs had recently carried out surveys with similar overwhelming support from their supporters. Other Trusts began to pick up the baton, like Chelsea. Manchester United have said they will think about it, and more significantly, the Liverpool fan-site “This is Anfield” ran a series of articles explaining why Liverpool supporters should also support the campaign. Bristol City have installed a fully functional safe standing area, but as yet, can only use it for rugby matches not for football. However – its existence shows how it works, and the anomaly between football and other spectator activity. The Football League have now voted for safe standing to be allowed. We clearly now have a situation where the momentum is there, and Paul Faulkner is in a position to try and get this back on the table with the powers that be. The campaign continues, and we will keep you informed, and hopefully, involved.